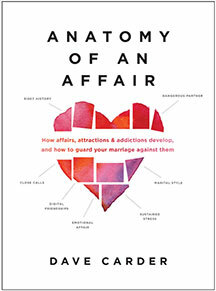 In Anatomy of an Affair, you will be exposed to the growing threat of Seductive Personalities, The Risk Factors you bring to the marriage, the 5 classes of Adultery, the mood altering potential of the internet and Digital /friendships, a composite of your dangerous Partner Profile, and the seasons every marriage faces that are most vulnerable to failure. Historically, promises were made between a man and a woman that stood until one of them died. But contemporary culture doesn’t trust promises and that trust often disappeared with the parent who abandoned the marriage for someone else. Rings likewise used to provide a statement of commitment, but today the rings don’t mean what they used to. Now, they say, “I see you made someone else happy; maybe you could make me happy instead.” This behavior is called Marital Poaching and almost 50% of both males and females in a recently released study of singles admitted to trying this behavior. Overtime, a new series of passive restraints were encouraged to protect marriages; boundaries, hedges, doors and windows. But often, passive restraints just make the chase more challenging and exciting! This culture, in this century, requires aggressive, proactive, focused efforts, coupled with a mindfulness of your own vulnerabilities and an educated awareness of common times when all marriages are at risk. Anything less will make you a statistic.